Tide lines show off the surf and sunrise near the northern end of Polihale State Park. 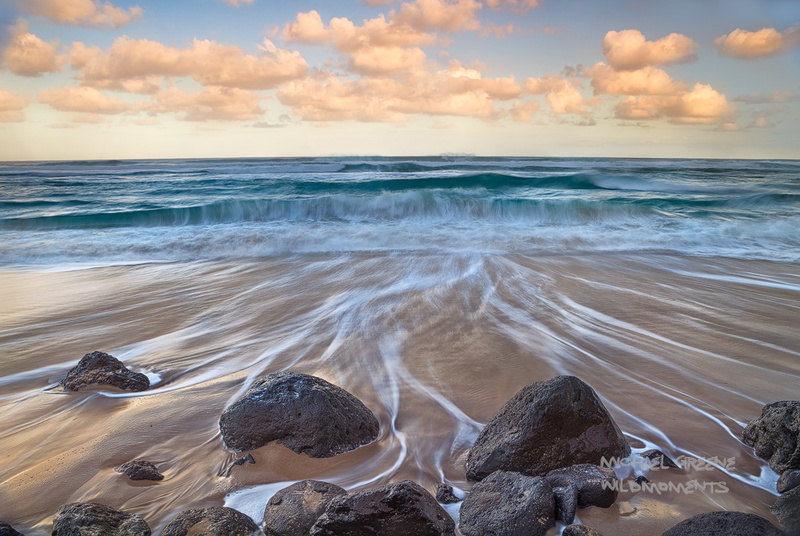 This beach is a 75-minute drive from the capital city of Lihue. Photo © copyright by Michael Greene.